It's time for our Weekly Digest! Digesto Taimu, yatta! This week has been pretty slow, I guess... The start of the week had a lot of great news, but then it kind of went slow afterwards, to the point where I procrastinated and didn't write anything until more news came out... Oh well, you have your highs and your lows, right? 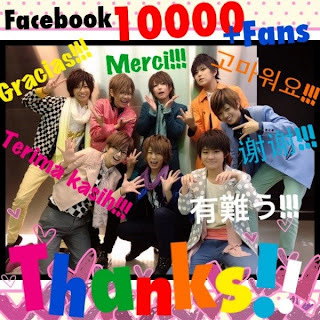 In terms of news, I think that Fudanjuku have really had a good week... 10,000 fans on their facebook page in a month (WOW), their new single MV as been released, and they have covers for their song as well! So, for this group, it's been great - which I love because I love them! This week is a mixed bag I think; plenty of other groups outside of H!P have news to contribute, which I think is great, whether it's concerning a new release or not, as well as the usual H!P extravaganza of news and all... well, I'll leave you guys to read it, but firstly we need to check out a video! Every time I think of this song, I mentally call it Harvest Time. No idea why... Anyway, SATOYAMA's youtube channel finally brought out the MV, or at least the Close-up and Friends version, which is just as good in my opinion. I love the song itself, and the girls' chemistry reminds me of Old S/mileage, before it was screwed up... Not that the new members are bad, I like the new members, but I miss Sakitty and Yuukarin who bailed because of the change. ... I'm continuing Request Week. Surprised? For this poll I took in 38 votes, with 34 of those votes wanting me to continue the PV Request Week, and only 5 wanting me to do some more Big Bang reviews. Well, I can't say I'm surprised, so it looks like the Request Week will become an annual thing for me. You will all have fun choosing PV's for me to review, won't you? The cover to Yajima Maimi's up-coming DVD, Chelsie, has been revealed! Now, how many times do I have to tell this girl? Her name is NOT CHELSIE! The cover to C-ute's Cutie Circuit 2012 has been revealed! ... What, did someone barf paint on their outfits or something? A Promo video for Berryz Kobou's up-coming concert tour in Bangkok has been uploaded! I really can't say much about this other than the fact that this is such an amazing oppurtunity for Berryz; they may not have the best promotion in Japan, but by lord, they have the best promotion outside of their home country when compared to the other groups! Morning Musume has been invited to the Osaka Women's Association New Years Concert (NHK), which will broadcast on January 2nd, 2013 at 7:30pm! A 35 second TV spot for Ono Erena's up-coming 3rd single, Say!! Ippai has been released, allowing fans to preview her new song which will be released on December 26th, 2012. Fudanjuku have revealed the LQ covers to their up-coming 29th single, Jinsei Wahaha!, which will be released on January 9th, 2013. There are four editions available. YAY! It's great to finally see the covers for Fudanjuku's up-coming single, and whilst the covers themselves are fairly simple (like the PV itself), they are really cool, fun and really work in favour of Fudanjuku. They look nice! 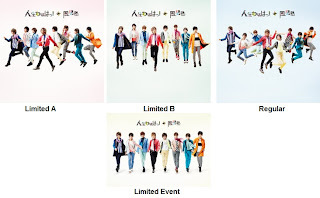 It has been revealed that AAA will be releasing their 23rd single, currently untitled, and a live DVD/Blu-ray for AAA TOUR 2012 -777- TRIPLE SEVEN simultaneously on January 23rd, 2013. 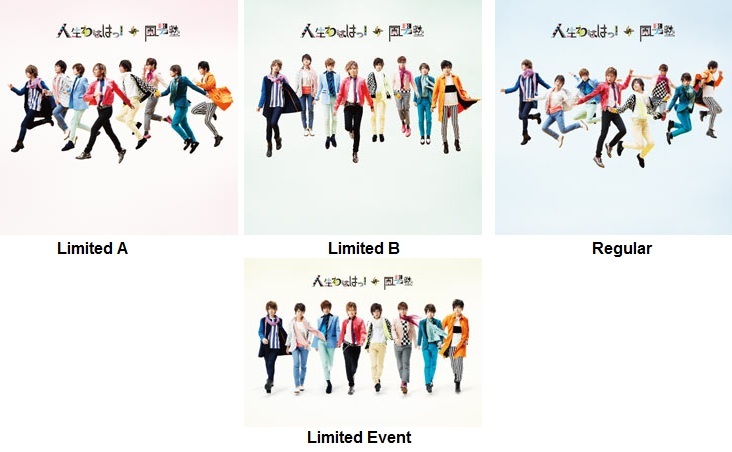 Whilst not much is know about AAA's first 2013 single, there will be a regular and limited editions released. It's great to see news from AAA, a group I don't generally go straight to like Fudanjuku or Morning Musume, but I do enjoy their sound greatly and find them a fun and appealing group! Hopefully these guys will begin 2013 with a bang and show everyone just what they are made of with their new song and PV! I'm looking forward to it! AKB48's Iwasa Misaki has revealed that she will be releasing her second Enka single, titled Moshimo Watashi ga Sora ni Sundeitara, which will be released on January 9th, 2013. There will be a Regular and Limited edition available. There are very few AKB48 soloists I pay attention (Mayuyu currently being the only one, in fact) because there seems to be too many to watch, to find out about, etc... and also, I think they're only soloists so that Aki-P can get money. Then again, Idols are meant to make money, right? Well... whatever. If Isawa and her fans enjoy the sounds she creates, then yay! 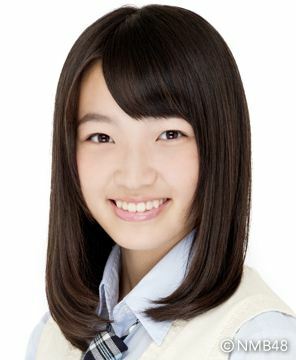 It has been announced via NMB48's official blog that Research Student Sugimoto Kana has withdrawn from the group, making her the 13th member to leave the group this year. She has cited her reason for withdrawing is to focus on her studies more. “I’m preparing for exams this year. Right now, I want to do my best with my studies to go to high school and make my dreams come true,"
Shiritsu Ebisu Chuugaku, aka Ebichu, will be releasing their third official single titled Ume which is set to release on January 16th, 2013. The title track has been written, composed and arranged by Maeyamada Kenichi, the one and only Hyadain, and the single will come out in three editions. NogizakaFortyFail's song, Koko Janai Dokoka, has been picked up as the new ending theme for NHK's animation series Usagi no Mofy. 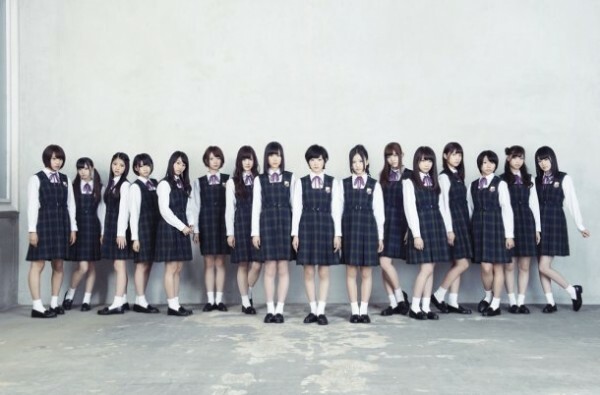 The song can be found on the Limited B version of Nogizaka46's new single, Seifuku no Mannequin, which will release on December 19th. 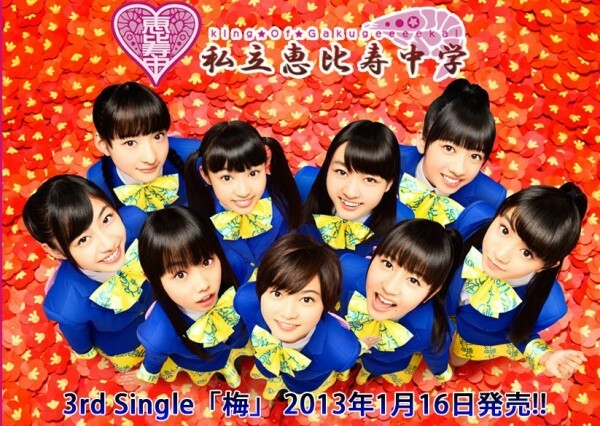 A preview for Houkago Princess' latest single, titled Housoubu Please has been released. The single was released on December 2nd, 2012. ... This is another venue song, meaning that no one will upload it, and I will never ever be able to buy it. URGH why, HouPri, WHY? IT SOUNDS AMAZING! Mano Erina's final Hello! Project single, NEXT MY SELF, will have a boxset. Boxsets aren't all that new, but for Hello! 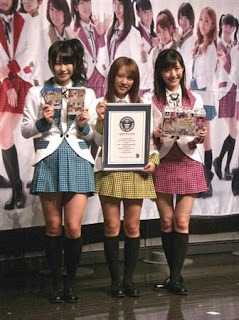 Project they are usually used for something special more than anything, such as Morning Musume hitting 50 singles. It's great that Mano is getting one final boxset as H!P's sole soloist, and for fans who want to buy it to support their Idol, please go and buy a copy! A preview for M-line Memory Vol. 9 has been released and featres Takahashi Ai's solo fan club tour. As always, previews are a great way to get a taste of what a fanclub tour is all about. This time, it seems that Ai was able to experience a really fun day with her fans at an amusement park. We also get to see Ai singing a variety of songs for everyone, something we are used to seeing in FC tours, but it's honestly great to see that Ai is still singing for her fans. Hopefully everyone can check it out and enjoy! A video preview for the Demon Spawn's Momoko Tsugunaga's fanclub tour has been released. The digest for Oda Sakura's up-coming e-Hello! DVD, titled Greeting ~Sakura~ has been released for everyone to view and enjoy! Like all other Greeting e-Hello's, this one features Sakura in a school uniform, as if she's on a date with the viewer. She looks very cute and innocent, and her smile is pretty infective! We also get to see her in a white dress with her hair all done up, which gives off a refreshing image of Sakura. Suzuki Airi will release a "Perfect" book, which will include gravure shots of Hello! Project's Ace as well as reveal treasures such as photo's, personal belongings and unveil a few things from her private life. This book will show the history of the 18 year-old Suzuki Airi as she celebrates 10 years of being in Hello! Project since the H!P Kids Auditions. The book has been titled Airi-al. This is really interesting, mostly because no one else has released one of these, and as this book delves into not just Airi as an Idol, but also her personal life and history behind her career, it makes the book so much more interesting. I do think that this is an amazing idea, and Airi totally deserves to be able to do this; she is the H!P Ace, and she has seniority over most now (barring older members from the Kids' days) within H!P, so I can see why they chose her. The limited edition cover to Fukuda Kanon's Kanyon17 photobook has been revealed. ... Is it bad that I think this looks boring? AKB48 have secured themselves another Guinness World Record with their game AKB1/149 Renai Sousenkyo. It isn't really that hard to secure these sorts of titles that have anything to do with numbers when you are a super group full of teenagers/young women... really, it isn't XD But congrats to AKB for another record! Weather Girls have revealed a preview of their up-coming second single, Koi wa Tokimeko Chuihoi, which will be released on February 6th, 2013. The preview shows backstage footage from the MV shooting, costumes and the girls commenting on the single itself. In my opinion, the beginning of the song (the opening I guess) and their costumes give off an SNSD vibe, but the song gets into a really cute, Japanese vibe which reminds me of an up-beat spring song. It sounds and looks really cute. Hopefully everyone can check it out and anticipate this release! Morning Musume have revealed the title of their 52nd single, titled Help me! !, through youtube as well as shared their comments and a preview of the song. Also, the only solo line we get is Riho, and wow her voice sounds crap bad. All nasal and strain, and no talent. A PV Preview and the covers to Kasai Tomomi's debut song, Masaka, have been revealed. The PV preview shows us the story of what seems to be an unexpected, but sweet, love that Tomomi dreams of. Unsurprisingly, my favourite cover is Type C, as it features a very Princess-like image which is extremely appealing to me. The video itself looks really nice and cute, depicting the dream of a bookworm who wants to be in love. The song also sounds very dream-like and filled with the possibilities of love, which I like. I also love that the actors and Tomomi speak the lyrics of the song... How sweet! I'm looking forward to this debut! I really am! Fudanjuku's facebook group has achieved 10,000 fans in its first month since being created! And that's all we have time for this week! Thanks for reading and staying tuned in to my Weekly Digest's, I hope that the news wraps up the week nicely for you all! Have an Idol-filled week, and remember to stay happy and obsessed with these Japanese cuties!